Foxx's third album, The Golden Section, was yet another change of direction, this time leaning towards a more radio-friendly sound. Unlike its predecessors, The Golden Section today sounds very much of its time, largely due to the production style and occasional use of female backing vocals.However Foxx's song writing is excellent, and somewhat different to any of his previous albums. The Golden Section sees Foxx going back to his teenage influences of the Beatles, Roxy Music and 60s psychedelia – particularly early Pink Floyd – and he's not afraid to let that influence show. Many of the songs glisten with Beatles-style harmonies and lyrics packed with emotion and feeling. All this is set against many layers of music, with the synths present as ever, against a backbone of typically 80s sounding electronic drums and guitar. Immediate standout tracks include "The Hidden Man", "Twilight's Last Gleaming", and "Ghosts on Water". The songs “Your Dress” and “Like A Miracle” were obvious choices for singles, but are not perhaps completely representative of the album's style. “Like A Miracle” goes back into familiar “grey suit” territory, and was originally written in 1979. 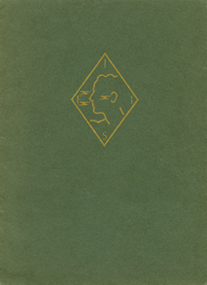 That early version eventually featured as a bonus track on the 2007 reissue of Metamatic, although somewhat different to the final version recorded for The Golden Section. Vocally, The Golden Section is stunning. Foxx's vocals are given utmost prominence in the arrangements and production, with rich harmonies and huge choruses. However musically, this album is much less adventurous that Metamatic or The Garden, with many tracks sounding similar to one another. Foxx's 60s roots would also be a clear influence on later albums, in particular, 1997’s Shifting City. 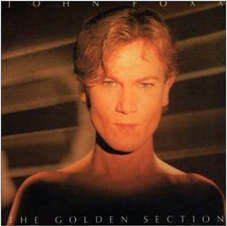 As the mid-1980s became swamped with bands that sounded the same, and an increasing demand for commercial success, The Golden Section was perhaps the first indication that John Foxx didn't intend to stay long. Although The Golden Section stands clearly apart from Foxx's earlier work and current style, there is really a lot to this album, which you only start to fully appreciate after several plays. The 2008 remaster of the album comes with a bonus disc containing many alternate or extended takes of album tracks, plus the previously unreleased “Shine On Me”. The sixteen-track disc demonstrates that this period was clearly one of Foxx’s most productive, and goes to show there’s more to The Golden Section than meets the eye. Details of the single releases for The Golden Section can be found here.